Matt Ridley: Fossil Fuels Will Save the World (Really) | Watts Up With That? That carbon-dioxide emissions should cause warming is not a new idea. In 1938, the British scientist [Guy Callendar] thought that he could already detect warming as a result of carbon-dioxide emissions. He reckoned, however, that this was “likely to prove beneficial to mankind” by shifting northward the climate where cultivation was possible. Mr. Ridley is the author of “The Rational Optimist: How Prosperity Evolves” and a member of the British House of Lords. He is a member of the GWPF’s Academic Advisory Council. March 14, 2015 in Climate News. well by saying it loudly matt ridley is hiding that he has an interest in fossil fuel, so vicious! true lies don’t lure a wise man mr ridley. i can t hardly believe people are so selfish that they are not able to slow their consumption of fossil fuel ignoring it makes it more expensive and rare for the rest of the world,ie me. true liers, skeptics, and selfish…disgusting. Did anyone understand this comment? It’s well-known that climate disruption causes psychological disturbances resulting in grammar weirding. Or, it could be gas fumes. By the look of the username, something could have been lost in translation. But I gather the accusation is that Matt Ridley is being paid by big oil, and he is selfish. Did he even read the article? I thought the comment was very revealing. He, she or it wants others to use less energy so he, she or it can afford to use more. Probably a communist like so many others in the CAGW crowd. It is difficult to afford if you are on the dole. lemiere gotta be a double agent troll. I think he was being sarcastic. Maybe. At least I hope so. Turn it upside down and read it in Klingon. You need to read the latest BP report. Fossil Fuels will be the primary source of energy for at least the foreseeable future. And also note observable temp v models v CO2 increase . BP doesn’t exist any more. Its property and workforce have all been seized by the State of Louisiana. BP’s ceo Mr Khodorkhovsky now works as the house slave of Barak Obama. Foreldrar þínir eru gullfiskur lemiere. Then kindly unplug your computer. ignoring it makes it more expensive and rare for the rest of the world,ie me. Then why are you mad at Mr. Ridley for producing coal, thereby making it less expensive and more abundant for the rest of the world … including you? What part of “(The reader should know that I have an indirect interest in coal through the ownership of land in Northern England on which it is mined, but I nonetheless applaud the displacement of coal by gas in recent years. )” (p5) did you fail to comprehend? Factually, modern civilization would collapse in a matter of months if oil stopped flowing. Oil/gas powers 100% of all transportation, within a few significant figures of rounding error. Which means no cities on planet earth could feed themselves and so on. World oil production was 82 million barrels per day in 2010. At roughly 6 gigajoules per barrel, that’s about 5.7 terawatts of power production. World wind power production in 2010 was 0.3 petawatt-hours. Averaged over a year, that’s about 34 gigawatts. World solar power production in 2010 was 0.03 petawatt-hours. Averaged over a year, that’s about 3.4 gigawatts. Hopefully you know the difference between gigawatts and terawatts. Please at least get your facts straight on transport fuel. e.g. in the USA about 6% of transport fuel by energy was from ethanol. In 2013, about 135 billion gallons of motor gasoline (3.2 billion barrels) were consumed in the United States, which contained about 13 billion gallons of ethanol. Ethanol accounted for about 10% of the total volume of finished motor gasoline consumed. May people in developing countries have 2 or 3 realistic choices for cooking fuel: coal or trees / charcoal. Solar cookers are terrible during the more cloudy, monsoon season. No sun, no hot food. Wouldn’t it be better if poor people burned coal instead of trees? Some deforested areas stay that way. See aerial image of Haiti V the Dominican Republic. no just kidding..and well it is a very private joke .. too private.. I understand, Sarcasm is difficult, especially cross-language. It’s very easy to be mistaken for someone actually expressing the views you are satirizing. I didn’t see the private joke comment so I apologize. You eco-freaks have only yourselves to blame. Your obsession with global control of society and how it lives, drives your insanity. That the wild predictions have not panned out to any degree must be a real bummer to you. Well you are harvesting your just deserts – enjoy. Now, leave the rest of us alone. While this may be true, efforts of the current occupant of the White House are focused on only China realizing any benefit from traditional energy sources. While they are building the things the world needs, we’re building heinous devices that slice, dice, and roast birds in mid-flight even while we are dismantling literally and through draconian regulation those same world saving energy plants. It is hard to imagine greater health benefits than from natural gas obtained from fracking. Here in the northeast USA we are coming out of two consecutive extremely cold winters. Just look at the heating cost without the abundance and much lower cost of natural gas. Lucky for us despite the extreme cold, we managed our monthly heating bill with some money left in our pocket compared to what the bill would have been 10 years ago. Millions have benefited. The physical health benefits are huge since we have more money left for better nutrition, needed medications or medical care, purchasing new and warmer clothing etc. The emotional health benefits are huge. We can go to sleep better, knowing we will have sufficient amount of money to pay the rent or mortgage, save a little for a vacation or retirement plan, take the kids to a movie, etc. Somehow, we never talk about the fact that the cheaper energy is, the greater number of individuals will benefit in a number of ways and with a little more money left in their pocket their liberty and freedom of choice is greatly increased. That’s what the leftists hate most of all. Keeps them up nights worrying about how to deny liberty and freedom of choice for the rest of us. Why? The cheapest storage of one GW-hr of electricity on demand is four 100-ton rail road cars of coal at $12,000 – cost of mining and delivery to the power plant. Don’t think of a lump of coal as an source of carbon pollution. Think of it as the cheapest industrial scale on-demand battery we know. It is a 200,000 times cheaper [to] store electrical energy in the form of coal to use on demand than in a lithium-ion battery bank. Finally, you cannot recharge a battery bank 10,000 times before needing to replace it. I’ve been suggesting coal-fired adult toys for years … but do women listen? Naw, Nuclear’s better. The warm glow of an enriched uranium rod (green, like on the Simpsons). So, you can’t recharge a lump of coal at all. Um, no. The single most important characteristic for batteries after capacity is portability, nd a coal fired generator is not terribly portable. Whilst you can recharge batteries, perhaps 10,000 cycles, if they are 200,000 more expensive than the electrical energy capacity they replace, the rechargeable batteries are at best 20 times more expensive on a full life cycle cost than coal. What batteries are good for is portability and instant on capability. Neither scenario applies to base load electrical generation. That is not necessarily correct. US has plentiful low sulfur coal in the Powder River Basin. But its most efficient newest USC coal plant (SWEPCO’s Turk) is 42% efficient. CCGT is 61% efficient. So even in low coal cost US, at any coal price above about $7-8/mbtu or natural gas price below that crossover (which depends on coal quality and delivery cost), gas is cheaper. With abundent shale gas running $4, almost all the US new and replacement generation is CCGT. Here in South Florida, two 1960s starions have been torn down and are being replaced by 2.4 Gw of CCGT fed from a new pipeline pipeline built just for them. Which is why US CO2 emissions are falling. Where gas is more expensive (Europe $8 if Russia plays nice, Japan $16 becomes comes in as LNG) coal wins. Germany is bringing on 10 USC coal stations to replace nukes. Japan is building 7. With the new Russian Gas deal, China may shift some of its planned coal capacity to CCGT, at least in northern China. Here in South Florida, two 1960s starions have been torn down and are being replaced by 2.4 Gw of CCGT fed from a new pipeline pipeline built just for them. But why are they being torn down? Could it be EPA “carbon pollution” and nano-gram mercury requirements? One could argue that a CCGT plant would be a preferred investment over a new coal plant on a purely economic basis. But I would want contracted gas deliveries priced years out. Storage of coal is easy. Storage of nat gas is harder and one long cold snap could find us with inability to meet demand. I lived through some Carter winters. No thanks. But to tear down an existing coal plant to build CCGT? No way that is on economics alone. There are other forces at work. Yes, choices, depending on locations, availability, costs, agreements with other countries, etc. as you summarized. China is already into nuclear and will move further following already completed agreements with Canada. China is very practical, using the best type of energy depending on locations, seasons, price, etc. They already want to take advantage of shale oil/gas extraction but certainly not there yet. Available possible diversification of energy sources is a huge advantage for China. At this time they must start addressing their terrible air pollution problems in a number of areas and I think they will, but not because they think CO2 is a pollutant. They care about CO2. For them it is the only gaseous fertilizer and indispensable for food production and forest growth. They know they need it in the air. They are not stupid. In Huntington Beach, CA they are replacing an old plant with a CCGT and about 15 years ago Calpine built a new CCGT plant in Redlands, CA. Rud, You’re referring to Port Everglades? The old PEPP was an oil fired plant..The replacement is natural gas fired. Ultra-super-critical coal plants (very high temperatures) significantly reduce CO2 emissions per unit of energy produced. China is building such. Besides, oil, coal and gas are a form of stored solar energy – they way it was meant to be – natures way. Getting 10,000 charge/discharge cycles out of a lithium-ion battery is beyond optimistic. If you limit the batteries to 50% discharge you might get 1,500 cycles. Your assumed 1500 cycle lifetime requires a charge voltage significantly lower than mximum as well. If you fully charge the battery, you “might” get 800-1000 recharge cycles. To base policy on the magnitude of “the climate sensitivity” (TECS) is an often made mistake here repeated by Mr. Ridley. TECS is the ratio of the rise in the equilibrium temperature to the rise in the logarithm of the CO2 concentration. As the numerator in this ratio is unobservable, TECS is scientific nonsense. No one should be applauding the displacement of coal by NG unless it is via the free market system, instead of by wrongful, anti-carbon, anti-democratic government policy. Without competition from coal, the price of NG can and will skyrocket due to supply/demand constraints. I agree with you Bruce. I also think it is a waste of a good transportation fuel (CNG) to burn it for heating and electricity. Coal and nuclear is best for those. Agree too. It is crazy to be using gas for generation when its characteristics make it so much more easily distributable to and useable by domestic consumers than coal ever was, at least in countries like UK with extensive gas grids. Coal is best suited to shipping in bulk to bulk end users. If there are any doubts about the long term availability of fossil fuels to underpin current first world economies and help others towards the same standards it is criminal to wantonly abandon one established, reliable and well-understood source of energy as a sop to the carbon lie when the result will be to deplete other sources more rapidly than need have been the case. 2) That the “IPCC is exaggerating Climate Sensitivity” Actually, the IPCC conclusions in its 5th Assessment are based on 10,000 peer-reviewed papers. It’s Ridley’s view of CS ~ 1, based on 14 peer-reviewed papers — that is out of the mainstream. (3) Ridley goes onto say that IF the estimates of CS~1 are correct — which is a mighty big speculation given that the overwhelming evidence is for CS ~3C — that it COULD explain the ‘pause’. That IF builds speculation upon speculation, and is not supported in any way in his blog. (4)) Citing model errors as a source of the IPCC error re CS estimates is also wrong –CS is estimated from three sources — (1) proxy data (ice cores)- from Earth’s ancient past, multiple epochs, (2) calculation from modern day direct measurement of CO2 and global temperatures, and (3) models. All three are in close agreement, hence the mainstream conclusion that CS ~ 3C. Ridley did get one thing right, that his colleague LCM did not. Ridley IS a member of the House of Lords. 2) That the “IPCC is exaggerating Climate Sensitivity” Actually, the IPCC conclusions in its 5th Assessment are based on 10,000 peer-reviewed papers. But did you exaggerated 10,000 articles analyze climate change? No. Less than 30 of those 10,000 you claim actually reviewed and analyzed the foundations of the assumed physics that falls underneath the assumed projections of the models predicting the future. Only 30. Absolute hooey, RACook. Those 10,000 are not ‘articles –they are peer-reviewed papers, which of course, Ridley’s blog is not, vs the 14 he cites. And as I posted (which you didnt read), models are not the primary source of CS. You are inventing. But do all 10 k of them address estimating CS? you didn’t answer the question. How many of the 10K peer reviewed articles did you read? Since you didn’t answer the question originally, and you probably haven’t actually read the articles, Im not sure why you feel its appropriate to disregard 14 cited articles..
if you have read 10,000 peer reviewed articles, it should be pretty easy for you to digest 14 more. youre a shill, a liar, and a poseur. A publication on how the breeding habits of the lesser spotted gimp fish may be affected by theorized climate change does NOT constitute research into climate sensitivity. …. Even if it is peer reviewed. Lord Ridley is correct when he says sea level rise is not accelerating, the IPCC is exaggerating climate sensitivity, the ‘pause’ is explicable as being a result of the measured low values of climate sensitivity (CS), and the IPCC obtains its values of CS from model studies. I can provide full references to support Lord Ridley’s factual statements so I suspect he can, too. And I am certain that you cannot substantiate your accusation that Lord Ridley’s factual statements are incorrect. You’d better do it, because Ridley is wrong. If you really don’t know that there are three calculation methods used for CS, I’ll substantiate it for you. But if you don’t know, you don’t know climate science. Warrenlb, let me help Richard out a bit. He is right about Ridley’s statements. You are not, and your defensiveness gives you away. Lets take the main one. You might know there are two climate sensitivities, transient climate response and equilibrium climate sensitivity. These differ in time frame and GCM calculation method. IPCC (AR4, since AR5 waffled) said TCR is 1.8-1.9 and ECS is 3.0-3.2. The most recent paper (Lewis and Curry) said TCR 1.3-1.35, ECS 1.7-1.8. You may also know what Lindzen long ago pointed out: the more sensative the climate is, the lower the TCR/ECS ratio must be. So that is another general sensitivity diagnostic. It appears you might not know that there are three ways to estimate TCR: use the GCMs over 70 years (1% CO2 increase per year, doubling in 70), use observational energy budget models, plot simple observed CO2/temp slope. There are five ways to estimate ECS: use the GCMs (double CO2 then run out 150 years, impute ECS from slope of T response), Baysian inference from informed priors (Annan), paleoclimate, energy budget models, plot simple CO2/ temp slope and extrapolate the inverse hyperbolic/logarithmic response (sort of the recent Loehle paper) . All referenced with many footnotes in the relevant portions of my last two ebooks. Perhaps you have not read them. You might learn something if you did. Only the GCM models produce the IPCC high estimates. All other methods for both sensitivities converge on TCR about 1.3 (or less) and ECS somewhere between maybe 1.6 and 2. Heck, Guy Callendar calculated ECS ~1.8 in 1938. He was about right. You, Charney, and the IPCC models are wrong. The pause shows that. As for nonaccelerating SLR, see essay Pseudo Precision; two recent warmunist attempts to explain apparent deceleration backfire badly. Shows only how desperately illogical warmunistsnhave become. As for the pause and sensitivity, see essays An Awkward Pause, Unsettling Science, and Sensitive Uncertainty. Please check the interactive footnotes. All the references you demanded from Richard, handily already published for you. I think you mean “uninformed prior.” A logical shortcoming of the Bayesian method in the assignment of a numerical value to ECS is the existence of a multiplicity of uninformed prior probability density functions. That there is more than one violates the law of non-contradiction. You say the IPCC obtains its values of CS from model studies. The IPCC gets its equilibrium CS values from the three methods I cited. The 3C is derived from each of the three, not just models. Also, a 2008 study led by James Hansen found that climate sensitivity to “fast feedback processes” is 3°C, but when accounting for longer-term feedbacks (such as ice sheet disintegration, vegetation migration, and greenhouse gas release from soils, tundra or ocean), if atmospheric CO2 remains at the doubled level, the sensitivity increases to 6°C based on paleoclimatic (historical climate) data. The results of this study implies that if anything, CS estimates of 3C tend to be somewhat conservative. Lord Ridley is correct when he says sea level rise is not accelerating, the IPCC is exaggerating climate sensitivity, the ‘pause’ is explicable as being a result of the measured low values of climate sensitivity (CS), and the IPCC obtains its values of CS from model studies.I can provide full references to support Lord Ridley’s factual statements so I suspect he can, too. And I am certain that you cannot substantiate your accusation that Lord Ridley’s factual statements are incorrect. That evasion reveals your complete inability to substantiate your laughable and ridiculously wrong assertions: if you could have substantiated your accusation then you would have if only to assert that my correct statements were wrong. All calculation methods are wrong if they provide indications that fail to agree with reality: you reveal that you don’t know empiricism trumps opinion and, therefore, you don’t know anything about the scientific method. Indeed, because climate sensitivity is less than 1.0°C for a doubling of CO2 equivalent, it is physically impossible for the man-made global warming to be large enough to be detected (just as the global warming from UHI is too small to be detected). If something exists but is too small to be detected then it only has an abstract existence; it does not have a discernible existence that has effects (observation of the effects would be its detection). And that also demonstrates the truth of Lord Ridley’s accurate statement that the ‘pause’ is probably a result of low climate sensitivity. I strongly suggest that you stop digging. You are wrong and – as is shown by the several posts from several people refuting your assertions – you are way out of your depth in this forum. 1. That paper is mostly speculation. The tide gauge measurements are not accurate enough to show an acceleration. Looking at individual tide gauges gives no acceleration. 2. Appealing to authority is not proof. What percentage of astrologers will tell you that the effects of the positions of the planets at one’s birth determine one’s day to day events? 3. The ‘overwhelming evidence’ is that it’s close to 1K per doubling. That’s what you get if you take the temperature change vs. CO2 increase. 4. Wherever the model-makers found their justification for CS-3 is immaterial. The models using CS-3 do not match the measurements. Actual measurements trump theory every time. Ridley ‘appeals to authority’ by citing a measly 14 peer-reviewed papers, my friend. You ignore that, but not the other? Hardly worthy being called objective. The rest of your post is just D**l blog. Nearly all estimates are in the 3C range, estimated from the three method I cited which are in close agreement. You have a right to your opinion, but not to your own facts. True, mod, but “pretending” that many many expert estimates don’t converge on the same answer is too preposterous to even call opinion. If every single estimate converged on the same number it would still be wrong if it disagreed with observations, as is the case here. You “pretending” that many many expert estimates do converge on the same answer is you again asserting falsehood. If there were a “same answer” then the climate models would use that “same answer”: they don’t. Models don’t parameterize sensitivity, it emerges from the simulation and is quantified after they’re run, not before. Kiehl says in his paper: One curious aspect of this result is that it is also well known [Houghton et al., 2001] that the same models that agree in simulating the anomaly in surface air temperature differ significantly in their predicted climate sensitivity. Just as I said. Continue Kiehl: The cited range in climate sensitivity from a wide collection of models is usually 1.5 to 4.5 deg C for a doubling of CO2, where most global climate models used for climate change studies vary by at least a factor of two in equilibrium sensitivity. Figure three is a winner. Here’s the copypasta of the caption: Figure 3 d istributions and ranges for climate sensitivity from different lines of evidence. a, the most likely values (circles), likely (bars, more than 66% probability) and very likely (lines, more than 90% probability) ranges are subjective estimates by the authors based on the available distributions and uncertainty estimates from individual studies, taking into account the model structure, observations and statistical methods used. values are typically uncertain by 0.5 °C. dashed lines indicate no robust constraint on an upper bound. distributions are truncated in the range 0–10 °C; most studies use uniform priors in climate sensitivity. details are discussed in refs 18, 24, 75 and in the text. single extreme estimates or outliers (some not credible) are marked with crosses. the IPCC 24 likely range and most likely value are indicated by the vertical grey bar and black line, respectively. b , a partly subjective classification of the different lines of evidence for some important criteria. the overall level of scientific understanding (LOSU) indicates the confidence, understanding and robustness of an uncertainty estimate towards assumptions, data and models. Expert elicitation 90 and combined constraints are difficult to assess; both should have a higher LOSU than single lines of evidence, but experts tend to be overconfident and the assumptions are often not clear. “Converging on the same answer” is quite different from “there is a single answer”. You need to learn how to read. The cited range in climate sensitivity from a wide collection of models is usually 1.5 to 4.5 deg C for a doubling of CO2, where most global climate models used for climate change studies vary by at least a factor of two in equilibrium sensitivity. As is your usual practice when you have been shown to be wrong, you have replied by copying&pasting to here information you don’t understand. The fact is that the estimates from the climate models and used in the climate models don’t converge on the same answer which was your claim. The experts here that KNOW the true climate sensitivity have not measured a thing . Observations are needed to KNOW this. For CAGW science “Observation and Measurement” is the step in the Scientific Method that all true scientists should already be doing. The models have spoken. Enough conjecture, Enough shrill table pounding. Let’s collect some facts and use them to argue with. It appears you are not familiar with the scientific method and model validation – that the IPCC’s climate models assume twice the sensitivity of reality! See Roy Spencer’s paper. See his graph. ‘But if you don’t know, you don’t know climate science’ Is a beauty.Your’e dead right there Warren,the dudes round here only know ‘science’science. Oh? IPCC Scientists are not familiar with the Scientific Method? And you are? And The IPCC assumes CS, and doesn’t calculate its estimates? And Roy Spencer’s work is credible?? All these statements seem to have about the same validity. You understand that they (UN) set out to prove their conjecture that climate change was caused by man. This is not scientific. One would set out to disprove the conjecture. A very important distinction. A distinction which is clearly lost on the ‘you’re-a-shil-for-big-oil-so-I-win-this-argument’ crowd. You apparently are so little educated that do not even know or of such character that yo do not care that you are committing the ad hominem fallacy of attacking the person rather than the argument – a logical fallacy known even by Aristotle. warrenlb- “IPCC’S conclusions in it’s 5th Assessment are based on 10,000 peer-reviewed papers.” It doesn’t matter it it’s based on 100,000 peer-reviewed papers if what it’s assessing doesn’t match what’s actually happening in nature. Feeble attempt at argument. Explain LCM. LCM Is Lord Christopher Monkton. LCM is not a member of the House of Lords and he does not claim to be. LCM is a Lord by right of birth and he asserts his birth right. The sneer at Monckton missed it’s mark because it was claimed that LC pretends to be a Member of the House of Lords. It was a stupid, rude and irrelevant comment. It’s a bit mean of the Mods to leave it there and thus embarrass the foolish author, warrenlb. LCM has repeatedly claimed to be a member of the H of L, which published an open letter denying that he is, or ever was, a member. And LCM publically disputed that letter, saying AGAIN that he is, and the H 0f L was wrong about their own membership! Amazing. LCM is a Lord by right of peerage. But he claims the H of L membership as well. Ask him. I have. Appeal to authority is an invalid basis for science. See the NIPCC for reviews of the really “inconvenient” facts that the IPCC has been ignoring. When models are off by a factor of 2 since 1990, its time to fix them. The NIPCC as a source of Science? Not by any measure. Ignoring contrary evidence does not make it go away. The first principle is that you must not fool yourself–and you are the easiest person to fool. So you have to be very careful about that. After you’ve not fooled yourself, it’s easy not to fool other scientists. . . .
I’m talking about a specific, extra type of integrity that is not lying, but bending over backwards to show how you’re maybe wrong, that you ought to have when acting as a scientist. And this is our responsibility as scientists, certainly to other scientists, and I think to laymen. The NIPCC reviews summarize “inconvenient truths” ignored by the IPCC. The NIPCC reviewers give explicit reference to the original documents so you can verify their summaries. Refusing to examine such evidence is the basis for today’s global warming lemming rush. Excellent quotes from Feynman. A perfect characterization of the NIPCC. And who elected you to be the arbiter of what is, and what isn’t science? You clutter up the threads with inane posts, always ignoring the basic fact that Planet Earth is busy debunking your religious True Belief. The planet is right, and you are consequently wrong. Deal with it. A skeptic faced with contrary facts and evidence like you have been would have changed his mind long ago. Why won’t you? The fact is, YOU are a source of anti-science misinformation, not the NIPCC. Your belief system has been falsified over and over. But you still cling to it like a drowning man clings to a stick. Just about everyone except you can see that. @ David L, Aren’t they trying to “fix” them as we speak,using their new observation “adjustments”? Science progreses by DISproving models, and then finding better ones.
. . . And as Albert Einstein pointed out (and Karl Popper and Thomas Kuhn later reiterated), the real value of science is in its ability to prove ideas wrong, while constantly and pragmatically making way for newer ideas that may be right. Thus the NIPCC’s highlighting facts that show the IPCC models are don’t match reality is the real scientific method – not the political lemming herd you are following! Ice cores do not determine CS. Most climatologists agree that orbital cycles were the major cause of temperature change, and CO2 in and out of the oceans were a secondary effect. 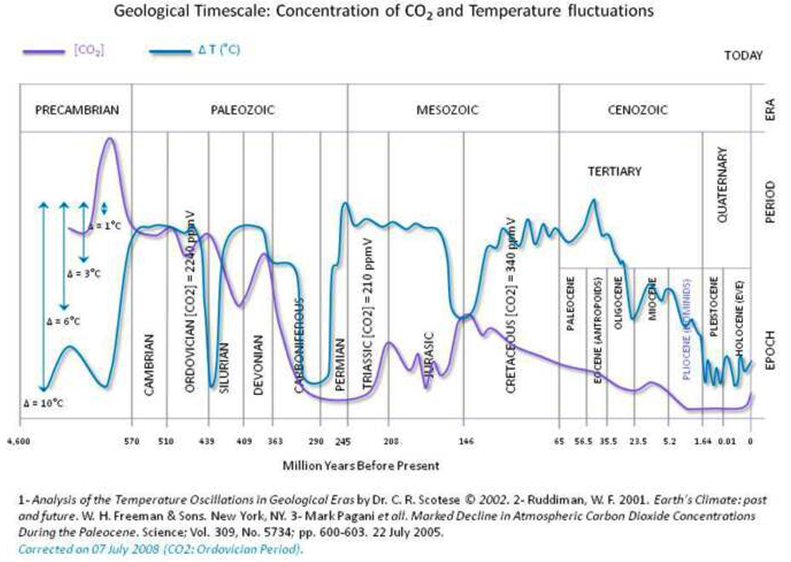 And, changes in CO2 during the Holocene do not correspond well to changes in Temp. Among your three, only climate models yield CS. But recently, some reports are including significant contributions from natural causes, and lowering earlier values of CS. 1) I never said ice cores determined CS. I said three methods were used, and cross-checked with each other. One method only uses proxy data, including ice cores. Another uses direct measurements of CO2 and Global Temperature changes in the modern area. The 3rd uses models. Thel three are in close agreement. 2) Orbital cycles are responsible for natural climate cycles. Those cycles have a period of about 120,000 years, and shorter 10,000-20,000 year cycles within the longer cycles. The industrial age rise of global temperatures is at a far far faster rate than natural cycles –faster than any changes seen in millenia. 3) CO2 was driven from the oceans as natural Milankovitch cycles warmed the planet, and the warming was amplified by the increasing Greenhouse Effect of the increasing atmospheric CO2. 4) Research still confirms equilibrium CS best estimates of 3C. To your peril you are ignoring papers finding much lower climate sensitivity. e.g. Transient CS ~1.33C, and ECS 1.64C. I am not ignoring Curry at all. There a few estimates, such as Curry’s, at the tail end of the distribution. Overall, the estimates of climate scientists converge around 3C as the midpoint. That’s a misconception. Climate variation occurs not just due to CO2, but to a host of factors, many of them natural. Your citation of natural causes has little to do with current estimates of CS, which converge at about 3C, midpoint. Three degrees C is preposterous. Even one C is improbable, given likely net negative feedbacks. You say “3C CS is preposterous”. 3C does interfere with the belief that Man can’t warm Earth’s climate. Catherine Ronconi is correct: 3ºC IS preposterous. There is zero evidence or verifiable facts that indicate anything remotely close to that preposterous rise in global T.
Give up your religion, and face reality. You would be lucky to see a ≤1º rise in T from a doubling of CO2. There is currently NO indication that will happen. There is zero evidence in support of ECS of 3 degrees C, and all the evidence in the world against it. Please state what reasons you have for imagining such a preposterous fantasy. Scientific reasons, not religious or ideological. (a) the estimates converge on 3C? (b) the midpoint (median?) value of the estimates is 3C? (c) you don’t understand your own words? (a) and (b) fail to agree with reality. You say ‘nothing to support 3c”. You are capable of ignoring scientific evidence totally, it seems. Read Gates extensive post on the topic. I said no such thing! On the contrary I cited the range of CS values used in climate models. It is bad enough that you consistently spout ridiculous nonsense. but you cross the bounds of acceptability when you attribute words to me that I have never uttered. I refuted the erroneous CS values used in climate models by referencing three differently determined empirical values which agree with each other and refute the erroneous values used in climate models. Also, I did read the twaddle from Gates. It seems that you are as incapable of understanding the issue as he is. And his copy&paste provided nothing “extensive”: the word you needed was trite. A proper explanation of the CS determinations was provided to you by Rud Istvan here, but your response demonstrates that you lack the needed intellectual ability to understand his straightforward explanation. Papers like that find low climate sensitivity are based on actual experimental evidence of temperature change versus CO2 change. Your claim is refuted by the non-observability of the equilibrium surface air temperature. Those “overall” estimates are based on older and less relevant data than the newer ones; they’ve been obsoleted by newer data and more sophisticated analyses. I disagree. Seems spot on to me. I’ve looked at this many ways. It’s not accelerating. Or the changes are too small to be able to tell. ….2) That the “IPCC is exaggerating Climate Sensitivity” Actually, the IPCC conclusions in its 5th Assessment are based on 10,000 peer-reviewed papers. It’s Ridley’s view of CS ~ 1, based on 14 peer-reviewed papers — that is out of the mainstream. IPCC keeps forecasting twice the rate of temp rise since 1990. If they aren’t “exaggerating Climate Sensitivity”, then what are they exaggerating ? I don’t care how many paper are peer-reviewed if they are all wrong. … (3) Ridley goes onto say that IF the estimates of CS~1 are correct — which is a mighty big speculation given that the overwhelming evidence is for CS ~3C — that it COULD explain the ‘pause’. That IF builds speculation upon speculation, and is not supported in any way in his blog. Observed data is closer to the 1.0 deg CS than the IPCC 3.0. This is why the models keep forecasting 200% of observed warming. I personally believe 1.5 deg is the best number for CS. It fits with Greenhouse Theory and modest positive feedback and observational evidence. …. (4)) Citing model errors as a source of the IPCC error re CS estimates is also wrong –CS is estimated from three sources — (1) proxy data (ice cores)- from Earth’s ancient past, multiple epochs, (2) calculation from modern day direct measurement of CO2 and global temperatures, and (3) models. All three are in close agreement, hence the mainstream conclusion that CS ~ 3C. Agreement ? CS = 3 is not verifying. We’ve had the models and the 3.0 assumption for 30-35 years. The verification continues to support half that. Maybe the problem is not CS. But if it is something else making the models over-forecast, I don’t know what it is. Well we have these 30 year warming and cooling periods. For the last 120 years. If CS is 1.5degC in a warming period what will it be during a cooling period? -1.5degC? Let us average and call it zero. Thanks for the trolling. It’s appreciated. Pity you did not post first like the microsecond trolls do. As usual, warrenlb is flat WRONG. Sea level rise is not accelerating. It has remained constant at ≈6 inches/century since the LIA. Where does warrenlb get his misinformation?? dbstealey… correct. People do not understand that IPCC-speak like much liberal talking is based on theoretical constructs given as declarative truth of fact… often led off by liberal rhetoric rubbish saying “truth of the matter is…” and “to be perfectly clear… ” as if it is proven theory. I suggest that you draw the attention of the Huff. Post and their Mr Sachs to the paper covered by Bob Tisdale today. What he has left out is the beneficial effect higher CO2 levels have on plant life. There is no reason to limit our CO2 production at all, let alone by such hare-brained schemes like “carbon capture and storage.” The next to last paragraph could use some revision. I agree. That threw me off. CCS in unnecessary, expensive and potentially dangerous. Because Mr. Ridley is a ‘lukewarmer’ (his description), I cannot help but think that he says things like this as a sop to his critics. Because I am a fan of the Lord Matt, I accept the ‘wink and a nudge’ aspect, if it exists. So what? It seems that more is better. His comment has IMO little to do with CCS. Engines and aircraft have become more efficient. 787, 30%. Car MPG due to electronic engine controls, turbocharging, substitution of aluminum for steel, light hybridization. USC coal generation is 42-45% efficient; older coal generation technology (in the US) runs about 34% ( metallurgical advances enable ultra supercritical steam). CCGT now runs 61% net thermal efficiency! Just technology advancing to reduce energy cost. There is almost no CCS anywhere, except a few projects for enhanced tertiary oil recovery (injecting CO2 lowers heavy oil viscosity so improves the ultimate total oil recovery). Mostly Texas’ Permian Basin, or Canada’s Weyburn field. See essay Clean Coal for a global CCS project rundown. Exactly. The estimate of 14% crop yield increase, by my previous reading, is about right. But it also applies to most all plants — forests, grasslands, ocean-phytoplankton, etc. I wish Matt would expand on his ideas about Carbon Capture and Storage. As long as it’s considered unsafe to have a nuclear power plant, it should also be considered unsafe to have a few gigatons of pressurized carbon underfoot. Then again, a massive distributed effort to reforest the planet – sign me up. One could argue that oil saved the whales. The demand for whale oil dropped when petroleum products hit the market. Have you hugged Standard Oil today? The antihydrocarbonists seem to miss the fact that energy production is only one of the zillions of uses of the stuff. yup. plastics and their derivatives are a prime example of that. The penultimate paragraph ruined an otherwise sensible essay. When Mr. Ridley talks about “we” and “fertilizing the oceans” , etc., etc., gasp. If the American EPA wants to police the “externalities” of fossil fuels wouldn’t it be reasonable for them to at least prove that said externalities even exist? As it is now, supposition, and not actual, provable facts, are steering energy policy. Yes that 2nd last paragraph is a problem – pray tell Mr. Ridley, after you have demonstrated the benefits of CO2 by greening the world (14%! ), why do you think “we should also invest in research on ways to absorb carbon dioxide from the air”? Geo engineering with iron filings; ccs….really? These seem contradictory to the whole tenor of your otherwise excellent editorial. Actually, the iron filings thing has already been tried in the NE Pacific, by an Indian band in BC. It resulted in one of the biggest salmon runs ever recorded a couple years afterwards. Also resulted in nearly unanimous condemnation from the usual environmental suspects. But hey, you want ‘wild salmon’ or ‘farm salmon’? I wonder why trees are outlawed from consideration? The only way solar will work is if it is done building by building so that each building supplements its current grid usage. However, this will drive the cost of grid energy up per unit used as infrastructure must be maintained with decreasing revenues. So is there a break even point by doing this? If there is and it results in the same expenditure per building as now yet we have less fossil fuel use for the grid, then it is a win-win for everyone. The only way solar will work is if it is done building by building so that each building supplements its current grid usage. Actually the most effective use of solar energy is coal-fired power stations supplying electricity to a grid distribution system. The energy in coal is solar energy collected by photosynthesis over very long time periods. I think it is time to face the fact that coal is the worst of the worst. It’s day is done. Time to move on. Clearly, you don’t live on this planet. Coal consumption continues to increase here on planet Earth. would consider it a fuel for the future. Sorry RC, but coal but coal is about as popular as Jerry Sandusky. Darn, Simon, that’s some weak trolling. Get off the internet until you pedal the electricity you need to run your appliances. Then tell us all about what’s “done” and what needs to “move on”. And the price is dropping like a stone. Yes, just like the price of a barrel of oil, and other energy commodities. It’s called a ‘market’, Simon. The price rises and falls depending on many factors. The price will rise again, guaranteed. And Richard Courtney correctly points out that coal use is up. So much for your ‘theory’. Really, Simon, you don’t have a clue about anything. But for readers who do: coal is the most inexpensive energy on the planet, which is why people want it. Cheap energy creates national wealth. And the CO2 emissions are a win-win: agriculture benefits, people benefit, and nations benefit. Only the clueless cannot understand that. Brute… Ah the good old. “You are a troll” coz you don’t agree with me. Very original. Coal is dirty and is being left in the ground. I certainly wont use it. Even if you forgive the CO2 it leaves us, I find it blind beyond blind to forgive the dirt and damage it leaves behind. Brute said you are a troll because you are. He pointed out that you are not an effective troll. Coal is dirty and is being left in the ground. I certainly wont use it. You were informed that coal usage is increasing and you DO “use it”. Brute was right. You really are a pathetic and incompetent troll. richardscourtney… so let me guess… you have a vested interest in coal? And given your rather unfriendly fiery response I would say, if I was a troll, then I had been rather successful. But let’s no go there. Let’s stick to the point I am making which is as a fuel coal has a limited time. Oil and gas on the other hand will be used for sometime yet I think. Don’t feel discouraged because you don’t make sense. First, you ARE using coal. We all are. Even if you live in a cave, forage for food, and wear nothing by leaves, you are still using a computer to post here. To run your computer, you need energy. Guess where that electricity comes from. Second, I call you a troll as a compliment. And I called your trolling “weak” to encourage you to do better. Now, now. Don’t get upset over nothing. I didn’t say that Simon is pathetic or incompetent. I said his trolling is weak because it is rather… childish and ineffectual. He doesn’t comprehend the most elemental notions. The poor fellow turns the light on, for instance, and thinks it is magic or some such. He (she?) can’t comprehend where the electricity comes from, how it is produced, etc. So when someone told him “coal is bad”, the poor guy thought “why keep something bad that’s also useless?” And here he is. Barking at passing cars. Thanks you so much for your kind words. I am wondering though how you know for sure that I live in a area that does use coal. In fact while your guess was exactly that…. a guess…. it was also a bad one. In the part of the country I live there are no coal fired stations. All hydro. Still it’s not the point I was making. It is in fact that coal has a short life ahead of it. I think I am right on this and if as predicted temps continue to rise, it will be shorter again. But even without the worry of AGW, coal now has such a bad rap it’s difficult to see it making a serious comeback. Put simply, why sh*t in your back yard when you don’t have to. There are other options. It is in fact that coal has a short life ahead of it. I think I am right on this and if as predicted temps continue to rise, it will be shorter again. But even without the worry of AGW, coal now has such a bad rap it’s difficult to see it making a serious comeback. Put simply, why sh*t in your back yard when you don’t have to. There are other options. There is at least 300 years of available coal (some estimates say 1,000 years) and coal usage continues to increase, so coal does not need to make a “comeback”. Coal is cheap, provides a very efficient fuel, and can be used cleanly. Its use has enabled the modern world which is cleaner than our ancestors could have imagined. Its use releases CO2 so you try to pretend that is unclean. And alternatives are either limited in use (e.g. hydro) or expensive (e.g. nuclear). Put simply, why listen to an anonymous idiot with sh*t for brains such as you? You release CO2 to the air when you breath and you don’t have to breath so please stop doing it. richardscourtney… so let me guess… you have a vested interest in coal? I have the same “vested interest in coal” as you and every other inhabitant of the modern world: our lifestyles depends on it. Enough of your insane trolling which is ineffectual in that it fails to distract the thread from its subject. Indeed, your trolling has provided opportunity to emphasise the importance of cheap, clean energy provided by fossil fuels especially coal. Come on now Richard play nicely. I have not insulted you and I would have thought a cultured English gentleman like yourself would know better. Mods I am struggling to see how a comment like…. It leaves me wondering what Richard would need to have a comment deleted? I know we don’t agree with each other, but that is not unusual here. Doesn’t the “area” where you live not partake in the economic activity of the rest of the country? Is the entire country running on “hydro”? Is everything that you and everyone in your “area” consume being produced locally by means “hydro”? Let’s not be foolish. Coal is fueling your country (and the world) to a substantial degree. It is fueling your life along with everyone else. Regarding the options you mention, they don’t fuel a single thing. They can’t. They are options, alternatives, hypotheses. It is the fundamental difference between reality and fantasy. Coal is factually financing your, mine, and everyone else’s wealth. Fantasies are entertaining you. The “bad rap” is one of those fairy notions, btw. If coal use was discontinued over night, Simon would be one of the first to squeal like a stuck pig. He has no clue about how dependent he is on that fossil fuel, which is an overall net benefit to humanity. I have been playing very nicely when addressing an anonymous and offensive troll, namely you. I paraphrased a remark you made to me and threw it back at you with the result that you complained to the mods! Don’t throw mud if you don’t want mud returned. RC Please quote where I swore and belittled you as a person because that is what you have done here. A clear violation of the site rules. Nothing is done though. Why? One can only assume it is because they agree with your view so are happy to allow this abuse to go one way. Did I do this to you? If so please direct quote from me. A serious request because your integrity depends on it. DB I a well aware that coal is used world wide to produce electricity. My view and I am confident I am right is that it’s time is limited. Most countries are committed to reducing it’s use over the next decade. Pretty simple I would think. Your confidence on your “being right” is sweet, even endearing, like a child’s. Consider, after all, the worthiness of electoral promises. All political talk is like that. The fact is that things (good and bad) can only change when they actually CAN. Here is a cruel example for you. Child labor ended once, and only once, countries were wealthy enough to outlaw it. It hurts, doesn’t it? Now you know why children still work in some countries and one of the reasons why folks here want to give those countries abundant, cheap energy. Your confidence in “hydro” is comical (thank you for making me smile). dbstealey is correct. Your “part of the country” is on the grid. How could it not? Electricity cannot be stored except in trivial amounts (at this level of consumption). It has to be produced on demand. What would happen If there were a drought? Would everyone have to move out? It’s silly. You know it. I know it. Here is the bottom line. You acknowledge that coal is “used world wide” (your own words). Take some time out to properly evaluate how coal is exactly used, that is, the extent of its usefulness. Once you have the information, then you can begin to evaluate how to replace that usefulness. Makes sense, doesn’t? You can’t replace something unless you know what it does. Excellent and realistic summary of the state of the world. Well roared, lion. Entropy has nothing to say about or do with order or chaos. Entropy is about relative/reversible/irreversible levels of heat, energy and work. Simply false. Entropy has meaning FAR beyond Carnot cycles. Since Boltzmann’s time, entropy has been understood as the optimal measure of disorder in a physical/chemical system. The 2nd law is the principle that entropy increases over time. Consequently, the 2nd law says that for any system not at equilibrium where the inputs and outputs are correctly accounted for, disorder increases over time. It’s called thermodynamics, thermo- for heat, not ordero- or complexio- dynamics. Creationist hijacked the second law with this bogus definition of order and complexity so they could argue that evolution and the universe move towards more complexity, more order, in violation of this bogus definition therefore a creator has to intervene. Appling energy concepts suggests that as life evolves it requires less energy to survive leaving more energy to thrive, e.g. farm rather than forage, construct shelter rather than cower in caves. Nothing about 2nd law. In Googling around I notice that some sites are beginning to distance themselves from this order/complex definition. In broad terms, the “entropy” is the missing information per event, for a deductive conclusion from an argument. The theory of CAGW is suffering from entropy, as all the false arguments in it’s support fall into the vast ocean of demonstrably failed predictions. Unfortunately, climate models do not make predictions. They make projections. Unlike a prediction, a projection is not a proposition and does not possess a truth-value. Thus, unlike a prediction, a projection cannot be falsified. A projection does exhibit error, a property that leads many bloggers to the erroneous conclusion that it can be falsified. I’ve seen similar discussion before about “prediction” and “projection”. I have no idea what you are talking about. A forecast is a forecast. Period. Thank you for taking the time to respond. There is a logically important difference between “predictions” and “projections.” This is that events underlie predictions but not projections. One can construct a histogram from the set of statistically independent observed events underlying a set of predictions. The height of each vertical bar in this histogram is proportional to the count of the associated events, the so-called “frequency.” Normalize these counts by dividing by the sum of all the frequencies and you have a set of “relative frequencies.” A relative frequency is the empirical counterpart of a probability. Each vertical bar is associated with a different outcome for the associated events. When a predictive model states a claim about the value of the probability of the events having a particular outcome this claim can be tested by comparison of the predicted probability value to the observed relative frequency value. If the two values differ significantly the model is falsified by the evidence. If they do not differ significantly and if the outcomes are conditional, the model provides its user with information about the outcomes of events that have not yet happened. That it provides this information makes the associated system controllable. Otherwise this system is uncontrollable. As there are no underlying events, one cannot construct a histogram from a set of projections. There are no frequencies, relative frequencies or probabilities. The model cannot be falsified and it provides its user with no information. The associated system (in this case the climate system) is uncontrollable. Thus “prediction” and “projection” have differing meanings. When the two terms are conflated by using the term “forecast” in reference to both of them and when the meaning of “forecast” changes in the midst of an argument, this argument is an example of an “equivocation.” An equivocation looks to many people as it is a “syllogism,” that is, an argument having a true conclusion. However, it isn’t one. Thus, one cannot properly draw a conclusion from an equivocation. To draw such a conclusion is an “equivocation fallacy.” Currently, the appearance that CO2 emissions should be regulated is deception furthered through application of this fallacy. On the basis of models constructed to date we cannot regulate the climate for these models provide us with no information. I sort of see what you are saying… but to me, you are way over-thinking it. I’ve had a career in forecasting, statistical forecasting, and forecast verification in a wide array of disciplines. I’m amazed at the lengths people will go to to avoid being verified. Outside of a few wonky skeptic blogs like this, climate forecast verification is a taboo subject, to be avoided at all costs. That speaks volumes. In other words, the warming has been roughly half the forecasts. To me, this suggests that the sensitivity is only half what the models are using, or that there is another issue at play that is unknown. CO2 sensitivity sans feedback is generally agreed to be ~1.1 deg C. Most GCM models use ~3 deg C. Scafetta (and others) fit to 25-35 years of obs suggest CS = ~1.5 deg C. So, seems to me that feedbacks are mildly positive, warming will continue, but substantially less than IPCC “projections” or forecasts or whatever anyone wishes to call them. You are on the wrong side of an ethical issue. One cannot ethically employ the equivocation fallacy in making an argument for to do so is to deceive people. To conflate “prediction” with “projection” by calling both of them “forecast” is to do so. Whatever. Way down deep, I’m shallow. Forecast minus observed is all I care about. Has anyone seen an analysis, projection, or hindcast of how the world would have developed without the development of carbon based energy sources? Without oil, the Greenies would be demanding we stop riding horses before we’re buried neck-deep in horse poo. And because horse farts put methane into the atmosphere, which causes Global Warming. Yes. See Lifestyles of the Poor, Cold, and Suffering. Version 450 AD. +10! Also, see the following episode: 1650 and the decades after. Sure, Randy. It would be like this. A good summary of the stupidity of the current green agenda (certainly in the UK). The only point to add is that increasing energy usage efficiency is a win win – whether reducing emissions from conventional fuels (if you side with the alarmists) or limiting necessarily costly and sometimes destructive investment in alternative technologies. This is not a strategy for a materially reduced existence, but simple changes changes to standards with limited impacts on personal freedoms – eg: build houses using 95%+ optimal standards of insulation, grey water recovery and reuse, fuel efficient cars not gas guzzlers, etc. Oil and coal are evil twins spawned from the God of Fossil which has enslaved the human race into suffering improved standards of living, fantastic technologically advances, and an amazingly interconnected world. We must have a conversion and worship the God of Sun and the God of Wind so we can go back to living in huts, individually hunt and grow our own food and once again become small disconnected communities spread across the planet. Sorry for the silliness, couldn’t help it. The demonizing of fossil fuels is one of the most improbable human behaviors I can imagine even accepting individuals and humanity in general has quite a knack for doing the improbable. I understand looking for new sources of energy, I have no clue for the need to demonize two Earth resources with which modern civilization would not have come into being and could not exist without. Let us not forget that the analysis and exploitation of coal tar gave rise to a whole new branch of organic chemistry based on aromatic systems , leading to dyes and drugs that enriched and saved millions of lives and gave employment to many more. Dr. Ridley’s commendable article unfortunately also gets a couple of things wrong. That is because almost all the popular literature and reporting about them is flawed. (1) Tight oil (fracked shale oil) in the US has indeed temporarily upended the world oil market. Curtailed drilling because of the low price and fracked oil well decline curves insure this imbalance will self correct within 18 months. And globally, shale oil abundance is not nearly what has been hyped in the media. Ackaringa in Australia has maybe 3.5 Bbbl TRR if the water infrastructure problem can be solved, not 200 (never confuse resource in place with TRR loke the Australian media did). China’s Sichuan is effectively 0 TRR for the same reason as California’s Monterey–so folded that horizontal drillling is not possible. The largest shale basin in the world, Western Siberia’s Bazhenov, has less TRR than the US Bakken despite being 80x bigger. Just petroleum geology 101. (2) However much methane hydrate there may be, very little will ever be recoverable. Most is low concentration in mud. Only high concentrations in thick continuous sands are even conceivable with technology still only at experimental stages. Japan’s Nankai trough is 20% MH in a continuous sand layer 60 feet thick lying only 290 meters under a seafloor only 900 meters deep. It might make sense in Japan with natural gas at $16/mbtu (since brought in as LNG) IF the one week production via depressurization test from 2014 (which took 10 years to plan and execute) can be scaled. Japan won’t know for another 3-4 years. Hydrocarbon geology stuff is just as hard, as complicated, and as misreported as global warming. And more worrisome sooner. All the world’s problems won’t be solved by one posting, but you sure gave it a heck of a try. Tight oil (fracked shale oil) in the US has indeed temporarily upended the world oil market. I don’t know about upended, but whatever one calls it I agree with temporary. There’s plenty of demand. Now shale gas in the US, that was playing havoc with the coal market even before Obama declared war on the latter. Hydrocarbon geology stuff is just as hard, as complicated, and as misreported as global warming. And more worrisome sooner. I’d be interested for you to expand on that because I’m inclined to agree with you. (1) Shale is marine source rock. If buried into the oil window of temp and pressure, the kerogen converts to oil. If beyond the oil window, the oil converts to natural gas. Is a hydrocarbon cracking spectrum called catagenesis. Is why oil trains coming from the Bakken are so volatile and explosive. Bakken shades toward the gas end of the oil window (and the gas is flared). (2) Shale permeability is real low. millidarcies. Worse than a brick. Oil is more viscous than natural gas. So, TRR ( technically recoverable reserve) Bakken oil is about 1.2% of whatnis down there. The rest is stuck. But for an equivalent gas shale (Marcellus, Arkansas’ Fayettville) the TRR runs about 15%. Just a function of shale permeability and hydrocarbon viscosity. Not rocket science. Now, when there are more gas than oil shales cause of the oil window thingy over geological time, and the gas recovery is 10fold better cause of the permeability/viscosity thingy, you end up getting a lot more shale gas than oil. If you know how much shale is there ( plus some other stuff like TOC and stratigraphy) you can get a rough handle on what is possible. See essays This rock could NOT power the World, Reserve Reservations, and Matryoshka Reserves for simple hydrocarbon geophysics explanations. Lots of footnotes for you to educate yourself further. Nullius in Verba. As to the hydrocarbons more worrisome sooner statement, slog through Gaia’s Limits. Or read the first set of energy essays in ebook Blowing Smoke. Then get back with counterfactual arguements. As to the hydrocarbons more worrisome sooner statement, slog through Gaia’s Limits. No need to be so hard on yourself. Then get back with counterfactual arguements. Having read the synopsis of Gaia, my prediction is that I’d really have to go out of my way to disagree with you. Frex: Future tradeoffs between food and inevitable biofuel carrying capacity set firm upper limits on eventual. I’ve held a dim view of corn for fuel since 1990 by way of research for a term paper I wrote in college mainly because the energy return ratio was not clearly greater than one, and even if it was, slightly better than one is simply to low a bar. And: These important issues and possible responses are not addressed by U.S. dysfunctional public policy, reviewed in the final section. Again, we might disagree on details, but I see more than just dysfunctional policy, but dysfunctional government in general. I think it’s too easy to chalk that all up to polarized partisanship. Stark ideological differences have existed in the US for a long time. This looks like something more than just that. Thanks for your elaboration and the reading suggestions. Everything looks like dangling bait to a troll. …says the #2 troll on this site. My first thought are that both points you make are dependent on current technology (or current expectations). The entire oil/gas shale reserves now being exploited were thought economically unrecoverable a few years ago. Most of the oil reserves being tapped now were considered unrecoverable a few years ago, before the development of affordable directional and horizontal drilling and the ultra deep water rigs. I though the post I was replying to had spelled that out. Both TRR and ERR are smaller than the total available. TRR is what we know how to get. ERR is what we can economically get (ie sell at a profit). I really appreciated the logic and circumspection of Matt Ridley’s article right up to and include that paragraph. But, then in the next paragraphs after it (quoted below), which are the concluding final two paragraphs of his article, Matt Ridley suggests actions that to me appear disconnected from the previous part of his article. Also, these two paragraphs are conflicted about what he calls ‘crony capitalists’. Conflicted because in the first of the two he is by implication evoking such ‘crony capitalists’ to implement his suggestions that he views as economically beneficial, but in the second he is explicitly critical of ‘crony capitalists’ who are doing things which he suggests are detrimental economically. “We should encourage the switch from coal to gas in the generation of electricity, provide incentives for energy efficiency, get nuclear power back on track and keep developing solar power and electricity storage. We should also invest in research on ways to absorb carbon dioxide from the air, by fertilizing the ocean or fixing it through carbon capture and storage. Those measures all make sense. And there is every reason to promote open-ended research to find some unexpected new energy technology. I disagree with Ridley on switching from coal to gas and investing in solar (which by definition only works up to 50% of the time in any location) without progress on storage technology so that any excess generated in daylight hours can be drawn down at night. I’m in two minds about nuclear, but can we afford to ignore such a reliable source of base load electricity, provided that the stations aren’t run by Cowboys (cf Chernobyl) and the developers aren’t promised stupid prices before they’ll cut the first sod. I do agree on investing in energy efficiency at every stage of the cycle – we can and should do more on this. But absorbing CO2 from the air? Where did that come from? And why? And how would you make sure you didn’t absorb so much that it affected the amount available to plants? As for CCS, there’s no sign of it becoming commercial yet as far as I know. It looks as though it is only ever going to be another way for cabals of “crony capitalists” to con tax payers out of shedloads more subsidies. In the final para I would have added “unreliable”, “unaffordable” and “economically and environmentally unjustifiable” to the list describing renewable energy schemes. There may be a few honourable exceptions, but how many could be counted on 24/7/52? But in any case, I’ve yet to see any convincing evidence that Gaia can’t cope with the derisory amount of CO2 humans have released from fossil fuels. Don’t diss the dame – she’s coped with worse before and will do again. CCS by definition reduces efficiency of heat and electricity generation. In any case, it takes energy to remove CO2 from the atmosphere, so there should be any fear that we would absorb too much. That’s the impression I had as well. In addition, I object to the use of the term ‘crony capitalism’. Subsidizing inefficient energy sources is driven by socialist agendas, not capitalism. Competitive capitalism quickly drives the inefficient producers out of the market. Ridley and others should use the correct term: ‘crony socialism’. Socialism seems to inevitably devolve into crony capitalism. Some one has to make profits to keep the system running. But inevitably change makes the cronies inefficient. He falls on his face at the end. Why waste NatGas on electricity production? Obama is shutting down the coal industry and putting the miners on welfare. Nice. A lot of European companies were planning on relocating to the US before it became clear that the NatGas bonanza was going to be squandered and prices not be very cheap. And why sequester CO2 when plants are starving for it? The current interglacial is coming to an end. We should pump as much CO2 into the atmosphere as we can and pray that we finally get some warming out of it. As far as carbon content is concerned, on a mass % basis at least, methane and coal are not that different. Both methane and coal contain hydrogen, but coal, however, also contains oxygen, nitrogen and sulfur in addition to other trace elements. Methane of course is a single molecule (and a gas) and coal (a solid) is a mixture of numerous molecular forms. I don’t object to calling coal a high carbon fuel, but I wouldn’t call methane low carbon, as it’s about 75% carbon by mass. Typical coals run between 5% & 10% H2, 45% to 80% C w/ ash, H2O, S. There’s a reason coal is cheap and difficult to handle and combust..
CH4 is 25% H straight away. 4/16. NG w/ CH4 produces twice coal’s Btu per CO2 because of the high energy of the H4. In the 1950’s the Bakken was considered to be only several million barrels RRR. Price and technology always changes the picture. Actually, in the 1960’s it was zero. Cause my petroleum geologist grandfather was developing the Montana side of the Williston basin trying to find the overlying stratigraphic traps. No one bothered with the underlying source rock. No different than the underlying Monterey in California’s oil fields. Now, are you suggesting there is yet another untapped source rock? Or that technology will in the future solve shale permeability better than fracking has? If so, you better hope those developments come in the next decade, given the known rate of conventional reserve decline, and hyperbolic creaming curve predictions of what remains to be discovered basin by basin. Essay IEA Facts and Fictions is a bit of a data slog, but provides an overview. Shell wants gas to take over from coal too. not me. such a bizarre article when u think about it…obviously directed at the CAGW followers. as for the claim there’s “more interest by the broader public”, where does that come from? Demand for oil and gas could fall if major producers fail to find economically viable and publicly acceptable ways of cutting their climate-warming gas emissions, Shell has warned. ***In his foreword, Shell chairman Jorma Ollila said carbon pricing and technology to capture emissions remained the best ways to address climate change, but both needed “widespread” government support. “I was encouraged to hear at the United Nations (UN) Climate Summit in New York in September 2014 that the need for effective carbon pricing systems had broad support,” he wrote. ***Despite the threat of increased regulations as a result of a proposed global climate pact, Shell said its investments in natural gas, biofuels and carbon, capture and storage (CCS) place it in a strong position for growth into the 2020s. In 2014 the company secured millions of pounds of UK government funding for a pilot CCS plant in Scotland, which aims to be the world’s first scale project at a gas-fired power station. “We expect that, in combination with renewables and use of CCS, natural gas will be essential for significantly lower CO2 emissions beyond 2020. New equipment to tackle spills would also allow it to drill for oil in the Arctic in 2015, the company said, an area it classes as one of its “future opportunities” and “resource plays”.“Large reserves” in Iraq, Kazakhstan and Nigeria could also come available it added. Yes, I often point out to Greenies that the biggest winners in the hatred of coal due to CAGW is “Big Oil”. Gas is the only viable alternative to coal and allows politicians to crow about reducing emissions without sending people back to the Stone Age. The US does not use oil to produce electricity so “Big Oil” doesn’t even have a dog in this fight. Big Oil is also Big Gas. I’m a Big Gas fan. (say it really fast several times to get a proper feel). Big oil produces NG which competes against coal. It would help if you were to read what is written and addressed that instead of posting non sequitur. “Big Oil” (i.e. oil companies) produce gas. Originally the gas was a waste product of oil production so was flared (i.e. burned). Now the oil companies produce the gas as a product from gas fields for use in power stations. Demonising coal adds to demand for the gas produced by “Big Oil”. IMHO NG and oil are not significant market place competitors. Oil is for gasoline, diesel, and jet fuel, i.e. transportation. NG is for home and water heat and electricity. Two very different sand boxes. Not easily interchanged. There are over 400 coal fired generating plants in the US producing 43% of US electricty. It’s going to take some time to replace them all with wind & NG. Power stations are replaced as they reach the end of their service lives. Sorry, that is a misunderstanding. “Big Oil” has the natural gas dog in this fight. My reply to your non sequitur is in the wrong place. Sorry. And that link doesn’t work. No, that’s not an encouraging environmental trend. 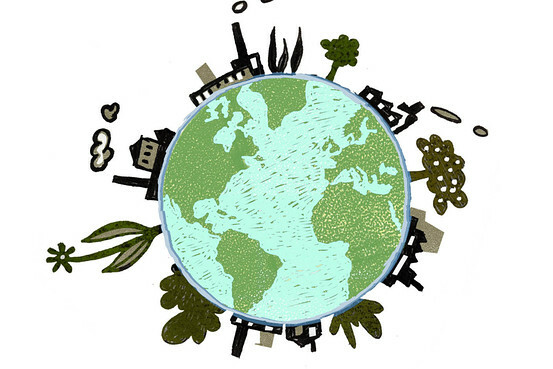 Less carbon dioxide means less plant food, which means less oxygen released to the atmosphere. We should encourage the switch from coal to gas in the generation of electricity, provide incentives for energy efficiency, get nuclear power back on track and keep developing solar power and electricity storage. We should also invest in research on ways to absorb carbon dioxide from the air, by fertilizing the ocean or fixing it through carbon capture and storage. Those measures all make sense. Since carbon dioxide isn’t a problem, the development of ocean fertilization and carbon capture and storage in order to sequester carbon dioxide does not make sense. “Furthermore, increased atmospheric CO2 from whatever cause is clearly beneficial to humanity and the environment. Earth’s atmosphere is clearly CO2 deficient and continues to decline over geological time. In fact, atmospheric CO2 at this time is too low, dangerously low for the longer term survival of carbon-based life on Earth. More Ice Ages, which are inevitable unless geo-engineering can prevent them, will cause atmospheric CO2 concentrations on Earth to decline to the point where photosynthesis slows and ultimately ceases. This would devastate the descendants of most current life on Earth, which is carbon-based and to which, I suggest, we have a significant moral obligation. 2. CO2-deficiency (if not in this next Ice Age, then in the following ones). atmosphere and 19 times more than the land biosphere. the sea-air boundary into the atmosphere. and its ramifications as described by the alarmist faction. distraction, as a way to get power and funding. isn’t this what we are seeing now? I have no time to run the numbers, but I do not think we have millions of years left for carbon-based life on Earth. Over time, CO2 is ~permanently sequestered in carbonate rocks, so concentrations get lower and lower. During an Ice Age, atmospheric CO2 concentrations drop to very low levels due to solution in cold oceans, etc. Below a certain atmospheric CO2 concentration, terrestrial photosynthesis slows and shuts down. I suppose life in the oceans can carry on but terrestrial life is done. So when will this happen – in the next Ice Age a few thousands years hence, or the one after that ~100,000 years later, or the one after that? In geologic time, we are talking the blink of an eye before terrestrial life on Earth ceases due to CO2 starvation. Furthermore, increased atmospheric CO2 from whatever cause is clearly beneficial to humanity and the environment. Earth’s atmosphere is clearly CO2 deficient and continues to decline over geological time. In fact, atmospheric CO2 at this time is too low, dangerously low for the longer term survival of carbon-based life on Earth. Atmospheric and dissolved oceanic CO2 is the feedstock for all carbon-based life on Earth. More CO2 is better. Within reasonable limits, a lot more CO2 is a lot better. Thank you for this excellent essay by Matt Ridley. Ridley’s essay reaches the same two main conclusions as our 2002 APEGA paper. 1. Was the conclusion clear, significant and correct? 2. When was the conclusion stated? It was obvious even in 2002 that climate sensitivity to CO2 was low, 1 degree C or lower (if it exists at all, since CO2 lags temperature at all measured time scales). It was also obvious in 2002 that wind and solar power were too intermittent and too diffuse to be cost-effective, and also obvious that fuel-from-food was a disaster. Since then, more than a trillion dollars has been squandered on foolish green energy schemes. After about 18 years of “the Pause” in average global temperatures, it is clear that climate scientists in the warmist camp have a consistently worthless predictive track record – all their dire predictions of runaway global warming and weather weirding have failed to materialize. 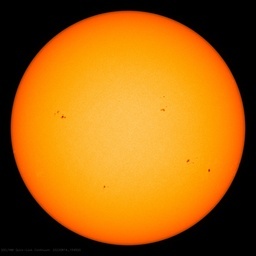 What comes next, after “the Pause” – more global warming or global cooling? The warmist camp says more global warming. I say global cooling – which we also predicted in 2002. Go with the track record, good people. Bundle up. Did you mean to say, Callendar’s work is very impressive? If anyone think CS is 3C, they are seriously on drugs or in hock. Brilliantly written article. Loved it. Matt Ridley says: “Our old enemy, the second law of thermodynamics, is the problem here…everything in the world becomes less ordered, more chaotic, tending toward “entropy,” or thermodynamic equilibrium. To reverse this tendency and make something complex, ordered and functional requires work. It requires energy.” Matt is right, sort of but this is sort of confusing. The second law of thermodynamics says in “natural thermodynamic processes,” the sum of the entropies of the defined collection of thermodynamic systems increases and become “more disordered.” Perpetual motion machines are impossible. A wheel will only continue turning indefinitely if work is done. That is what Matt is saying. Doing work requires expending more energy … even in efficient engines work is “lost” – becomes unavailable. In the long run, the wheel stops turning… when carbon fuel is no longer available, when the sun becomes a dark star, when the earth stops spinning in orbit. The consensus types would have us reverse development of modern times since the Industrial Revolution, and go back to the dark ages. Just don’t try to take their cars and cellphones from them. Me – I am more optimistic about the future. Fracking is very poorly managed. They didn’t have to do much management when oil and gas prices were high. Now tech magazines are full of articles on how to better manage production – both the drilling stage and the well management stage. The prices for fracked wells are still coming down. And the cost per delivered BTU (joule) is still declining. Fracing has been “managed” for over fifty years. Suffice it to say, those who hate fossil fuels hate humanity. Those who hate Humanity and hate prosperity, hate fossil fuels. No mention of either LENR (perhaps Mr. Ridley is a skeptic re LENR) or Lockheed’s “compact fusion” technology. Either, or both, could pull the economic rug from under fossil fuels (i.e. cause their prices to drop substantially). If you are at all optimistic about these 2 emerging energy possibilities this entire article would need to be rewritten. In roughly 30 years LENR has failed to go from lab curiosity to even a small power plant. You have to ask yourself why the scientists involved are not making money hand over fist from their findings. Well, yes and no. ‘Cold Fusion’ hit the headlines 26 years ago, in 1989, and didn’t morph into LENR and quasi-respectability until after 2004. So, let’s say 10 years, rather than 30. And as far as I can make out, nobody really understands the source of the ‘excess energy’ or the underlying atomic/chemical process(es) that generate it. So the path to commercialization is not yet open, hence no hand-over-fist money-making just yet. I’m no swivel-eyed proponent; I just check in on the research once in a while to see what’s happening. If you take it as given that there is an underlying mechanism for the ‘excess energy’, then the implication is that the engineering will eventually be worked out. I guess we’ll see. Certainly, the timeframes for the debate about ‘global warming’ and the role of fossil fuels are long enough to allow for some kind of definitive resolution of whether LENR can or cannot contribute. What’s the status of Polywell? Polywell status: Government funding has ended. No show stoppers. They are looking to make a deal to continue the work. Trouble is that for the amount of money they need they will have to give up control. They don’t want to do that. There are several independent groups also working on it but none is well funded and IMO the quality of the people involved is not the highest – I could be wrong. A very good reason to switch to NG from coal for electricity is that NG has much less of the other pollutants coal produces: ash, mercury, NOx and SOx. However, NG is more volatile in supply, can’t be easily stored, and is not as unlimited as coal in terms of supply, so is not as good a base for generating electricity. Great article by Matt Ridley: a devastating analysis that enjoys the benefit of being bloody accurate, with (imo) just one exception: the suggestion of geo-engineering the oceans. There is ZERO evidence geo-engineering is either needed or plausible, certainly not at present. Bar that hiccup it’s a superb article which will take flak from rabid Greens, precisely because it’s so darn good. These are the weasel words of the squirming pseudo-skeptic. old bean, dontcha know. Fossil fuels certainly saved my world. Carbon dioxide sequestration should be limited to beer, ale and sparkling wines. Ok, soda too. wunhunglo, but we know CO2 has a net positive effect on mankind for at least for the next 50-75 years. Even the IPCC like ideologue consensus tree huggers agree with this. It is only the last 25 years of the millennium that “the hockey stick” predicts CO2 rising to levels which cause negative impact on mankind. So we are arguing about stopping the positive effects of CO2 now before they become negative effects … I hope I am saying this clearly. But on the other hand it is becoming increasingly clear that the models are bad and do not portray attribution and by the way also do a particularly lousy job of modeling the feedbacks e.g,. moisture and clouds that are Nature’s built-in control mechanism to protect mankind from runaway climate change…. and yet the IPCC like ideologues fail to acknowledge the models are indeed lousy. CO2 has no direct relationship to the Earth’s average temperature. Oil was discovered in the Bakken in 1951 and first described by J. W. Nordquist in 1953. In 1999 Leigh Price estimated 271-503 BB. in the field. In 1951, it was barely worth drilling. Technology evolved estimates of recoverable oil continue to rise. wunhunglo, thank you for the reference which is interesting. The chart is from Ruddiman’s web site and Pagani paper is in Science mag. I would not propose cutting the near term benefits it is what the greens would want to force you to do. Frankly, scientists do not understand climate attribution / sensitivity well enough at this time to do anything. It is a “wicked problem” which I described simply as being unsolvable and many dimensional, more degrees of freedom than can be solved with simple temperature = f(greenhouse gases). If you think about it that is what greens and the official body IPCC is asking you to accept and how naïve is that. listen folks if nuclear power could compete solely on safety and economical production of power it is in a class by itself at the top for the efficient production of electricity. The nuclear industry has suffered under a regulatory burden and in a legal morass that is unprecedented in the history of technology. I heard somewhere on good authority that the paperwork to build a nuclear power plant WEIGHED as much as all the concrete and steel. Onerous to be sure, wasteful and costly also. It’s the way nukes have been made uneconomical. Death by regulation (or a million cuts if you prefer). There are Henny Penny’s at every turn to bring legal action at every phase from ore extraction to siting to final deposition of byproduct. Insane! Agree completely. It’s truly sad what has been done to fission based electricity. it looks like nuclear power strategy was worked out something like this ? Is this a modeled projection or body count. What is the population group in the study. How many burned to death and how many died of smoke inhalation. Did the smoke contributed to global warming if so did the figure include the modeled no. of deaths from sea rise and glacier melt. You sound as though you know how to conduct a scientific study. Are you available to replace Pres. Obama’s “science” advisor? You may have missed my sarcasm. Available, yes, would I accept, no. I’m not a ideological puppet.